Classically Simple yet Vintage, Big & Beautiful, Rustic and classy. 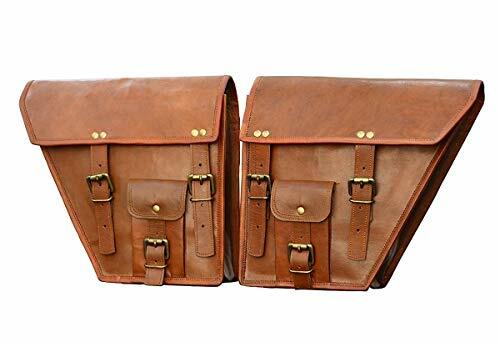 Pure leather, by nature, has some scars (due to markings/cuts on goat skin) which reconfirms that the leather is 100% genuine made from goatskin hide. 100% Real Brass Metal Accessories. Handmade in India.